Pia, a gorgeous pink pineapple design from Gooseberry Pink, is also available on a 100% organic cotton baby t-shirt. 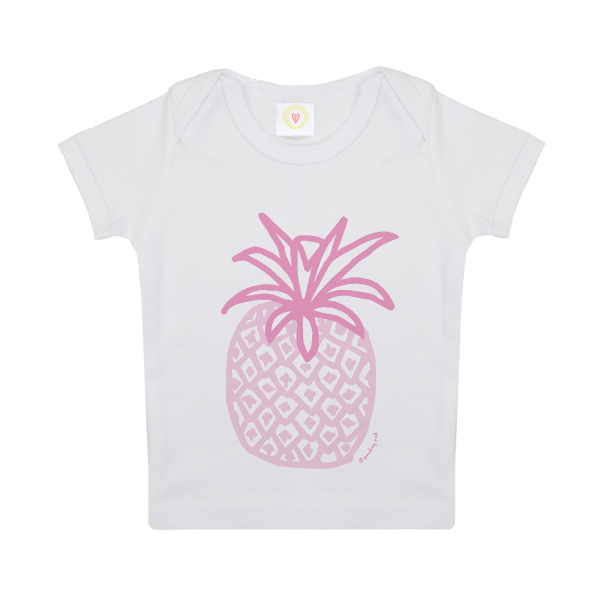 The pineapple baby t-shirt is supersoft and just what every stylish baby girl wants to be seen in. 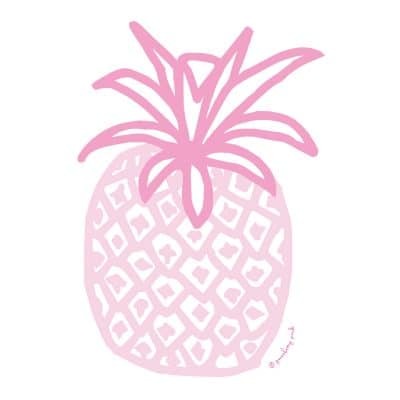 Can be worn as a t-shirt or vest and has an envelope neck opening for quick and easy dressing.